What a great day it was Saturday! Well at least for photography. It didn’t rain but there was enough cloud cover to make it interesting. What better time to go out and photograph then when there are clouds in SoCal! A definite rarity over here! 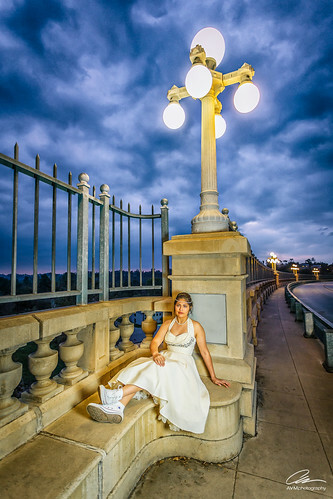 So off we went to photograph Jocelyn and create some memorable Quince portraits. Don’t let her Mona Lisa smile fool you though. Behind that smile lies a woman that can kick a… well… you know. Camera and Lens: Canon 5D MkIII with 17-40mm f/4L set at 1/150, f/4, ISO 1600, 17mm. Lighting: 1 Canon 580EXII @ 1/32 power, gelled with 1/4 CTS in medium softbox held by VAL camera right and triggered by Pocket Wizard PWIIs.